Welcome to Journeys Around The Globe. It is here where I document my food and travel finds. Look forward to connecting with you. Follow me on social media below. One of the things I love most about Melbourne is there is always something new to discover...having grown up around Melbourne and its surrounding suburbs since childhood I never cease to be amazed at the treasures waiting to be found in hidden laneways and streets across the city. 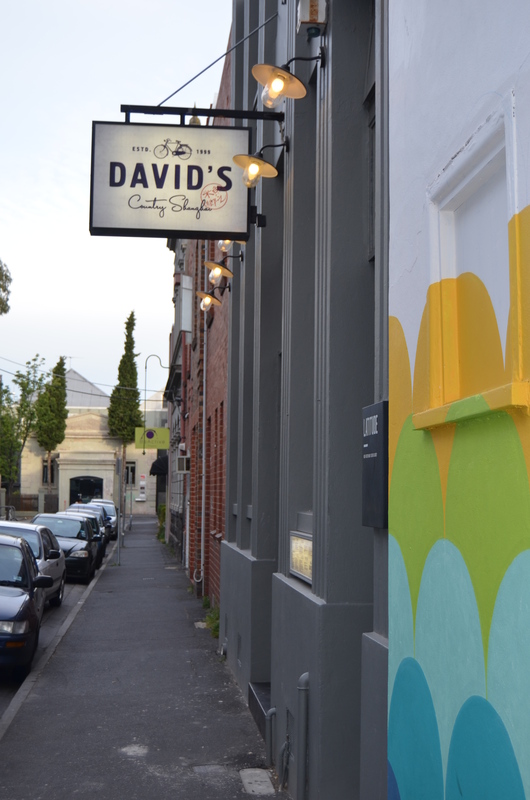 Case in point...last night I found myself wandering down the quiet and hidden Cecil Place in Prahran for the first time to try the delights of David's, a restaurant that has been established since 1999 but has recently emerged from a fresh coat of paint to take on a new lease of life. My first thought as I walked through the glass door was how lovely and bright the new look David's is. 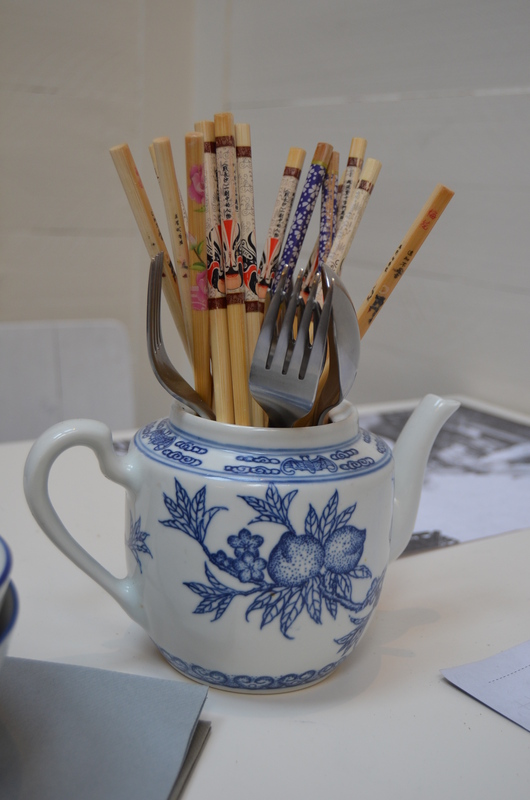 Hecker Guthrie are responsible for the new fit out and have reflected David's country Shanghai history through mismatched timber chairs, whitewashed walls and Chinoiserie-style lamps. Greenery spills from brown bottles and assorted stoneware lining the window sills and shelving. The all white colour scheme and cantilevered windows take advantage of the light and create a homely atmosphere. David's is all about quality, fresh ingredients. The meals are never fussy and the emphasis is on sharing. Plates come out haphazardly as soon as they leave the kitchen. The menu encompasses a wide range of tastes and flavours from the sea, to the paddock, to the pen and everything in between. 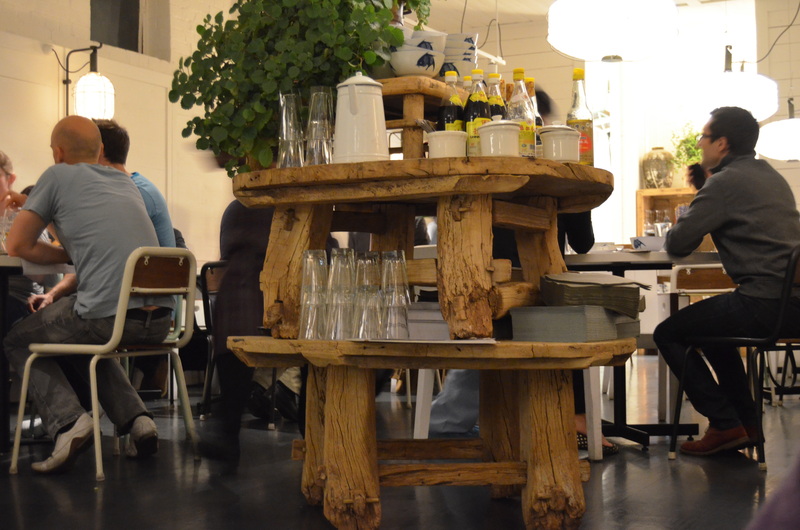 There is an extensive wine and beverage list, and an amazing range of herbal teas which offer the promise of curing any ailment. David's is also BYO every day except Saturday and corkage is only $10. Hint...Wednesday is locals night where you can enjoy 2 courses from a changing weekly menu and a glass of house red or white wine for a very affordable $30 per person. Even better, there are a number of options available, so each person can choose something different and share a range of tastes. 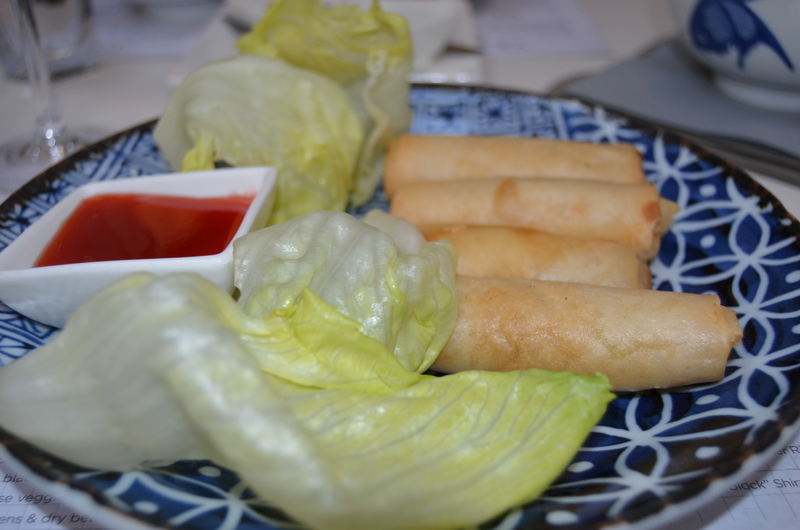 From this week's menu we decided to try the mixed basket of pork, chicken, beef and veggie dumplings and the crispy vegetable rolls with lettuce cups and sweet chilli sauce. 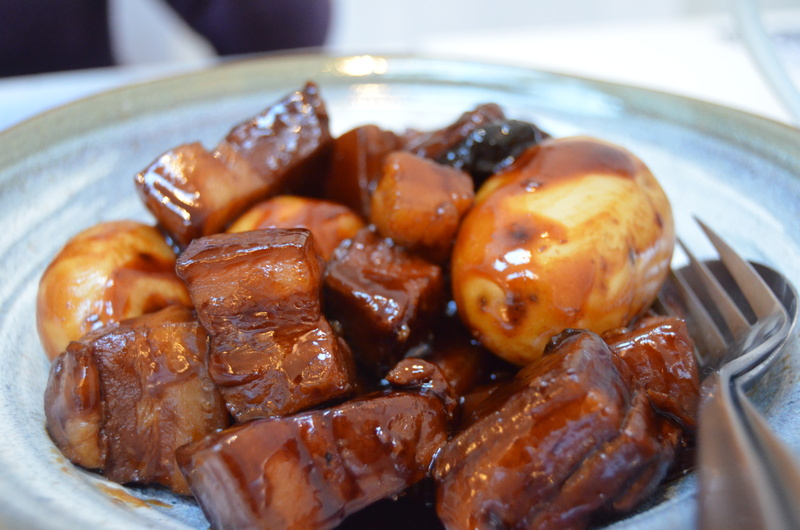 For mains we settled on the sticky pork belly with chat potatoes, aptly named "country comfort" and Auntie's fried rice with Chinese sausage and egg. I'll admit Chinese food is not my favourite cuisine, as generally I find the suburban Chinese restaurant's fare too fatty, heavy and oily. So imagine my surprise when I tasted the wares from David's. I have not yet been to China, but I imagine this is what it would taste like if you were able to eat where the locals do! The dumplings arrive piping hot with plenty of filling and the veggie rolls are indeed crispy with an ample amount of finely chopped vegetables. 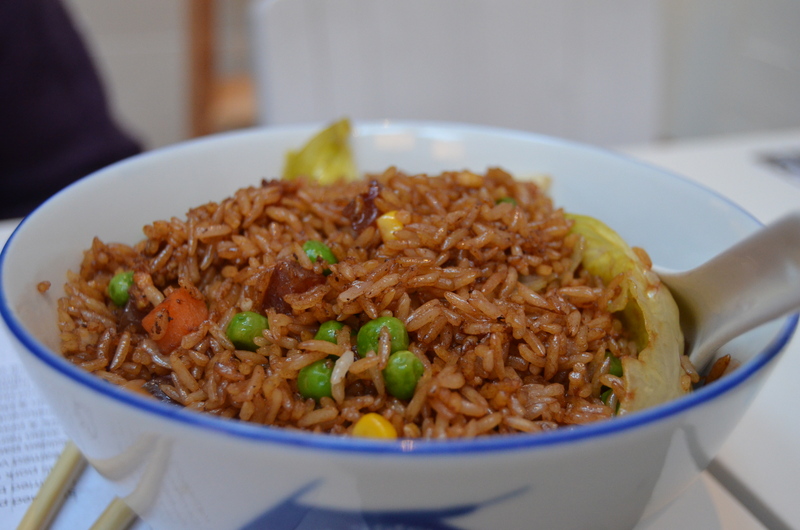 I am not usually a fan of fried rice, but the Auntie's fried rice was fluffy with a flavour packed punch and not too greasy. Simple, comforting food. The pork belly was juicy and sticky-sweet, while the accompanying baby chat potatoes were cooked to perfection. 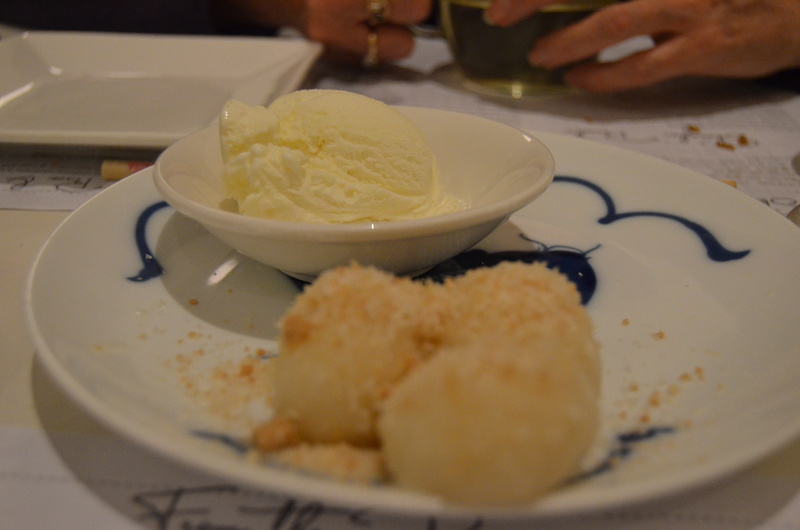 As you may know I usually find dessert in Asian restaurants to be ho-hum and uninspiring and generally take a wide berth; but I couldn't resist trying the soft centred, white chocolate dumplings, with peanut and coconut praline and vanilla ice cream. Three very simple, tasty glutinous chewy rice balls filled with white chocolate and topped with toasted peanuts and coconut. It wasn't an earth shattering moment, but this was a pleasant change from the usual suspects of fried ice cream and banana fritters. 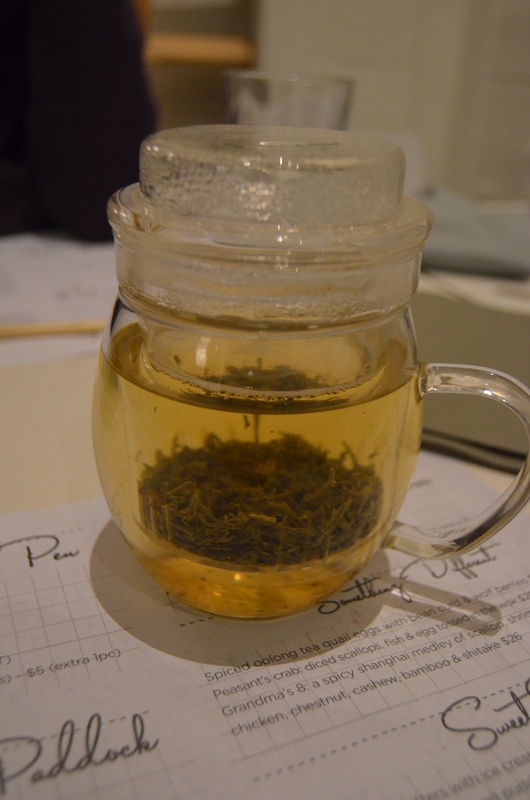 Herbal tea comes in nifty glass teapots that double as a teacup, once you remove the inner vessel that steeps the tea. All in all David's was a very pleasant experience and I will definitely be back for more now that I have stumbled on this hidden gem. 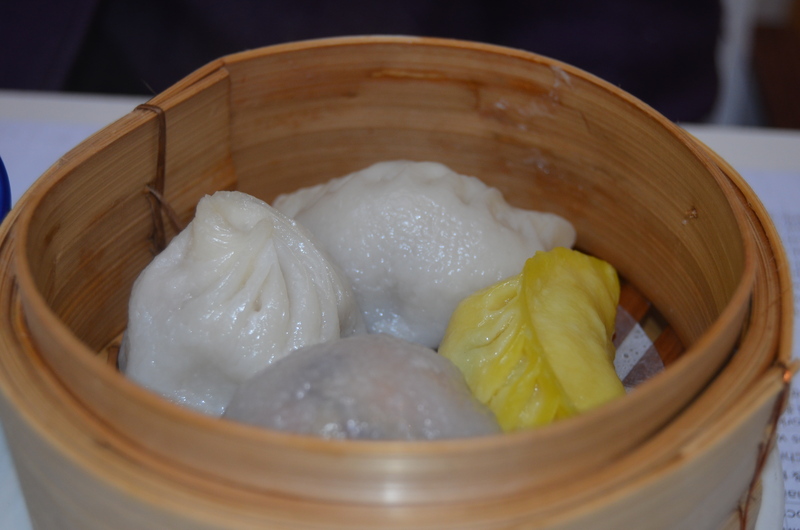 They do a great value yum cha every Saturday and Sunday in two sittings from 11:30-1pm and 1:30-3pm which I can't wait to try! This emperor may have new clothes, but it has lost none of its old school charm.